% Read one frame at a time. % Size a figure based on the video’s width and height. 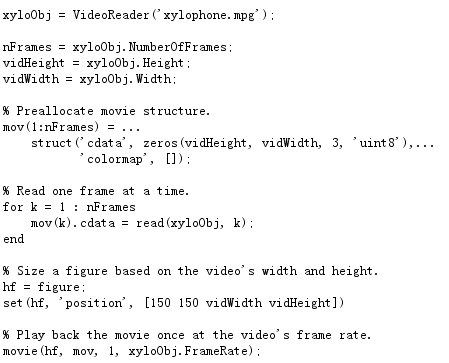 % Play back the movie once at the video’s frame rate.